A creeping perennial with stolons and distinctly compressed sheaths. 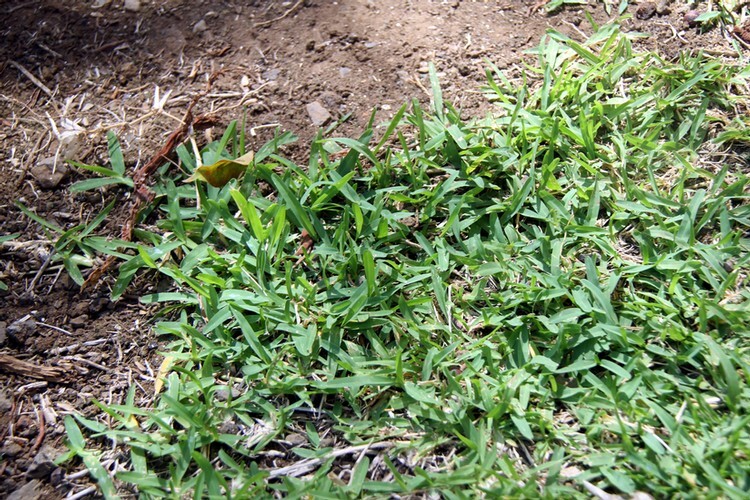 Centipedegrass forms a dense turf where established and for this reason is often planted as a lawn grass. 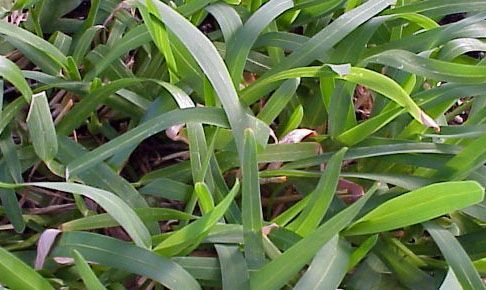 It is most commonly planted as a lawn grass in the southeastern United States from Virginia to Florida and west to Texas. Approximately 15 to 30 mm long, 2 to 4 mm wide, and distinctly flat with a white midvein. 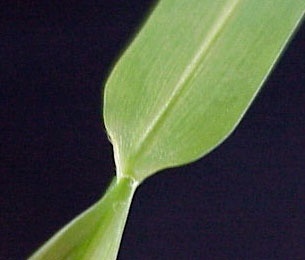 Leaves are without hairs except in the collar regions. Leaf apexes are rounded. 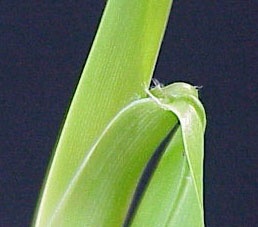 Leaves are without auricles, and have a short membranous ligule that also has short hairs. Sheaths are distinctly compressed, to the point that considerable effort is required to pull them apart. 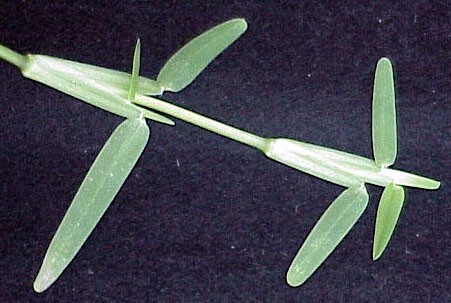 The inflorescence is a single spikelike raceme that range from 3 to 5 inches in length. 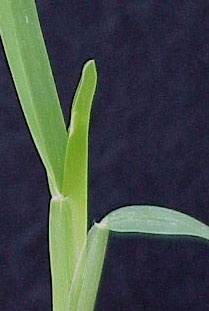 The racemes are purplish in color, somewhat flattened, and have spikelets arranged in two rows. Creeping stolons that are slender and branching. 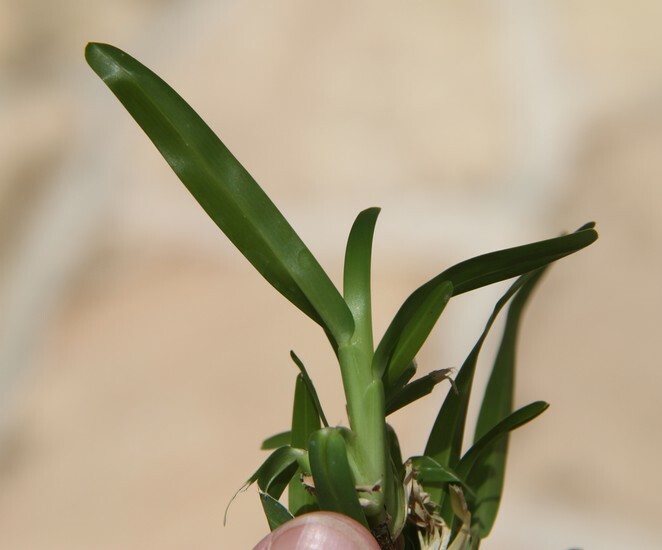 The strongly compressed sheaths, flat leaves with rounded apexes, and creeping stolons are all characteristics that help in the identification of centipedegrass. 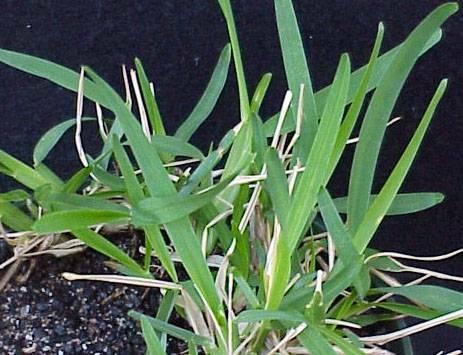 Additionally, centipedegrass has a relatively slow growth habit and requires less mowing than many other turfgrass species.